Welcome to District 12: Star Squad 451: It Is Coming! For some time, Courtney and I have been privy to the development of a new Hunger Games fan project called Star Squad 451 by Wet Ware Productions and finally we get to start sharing it with all of you! 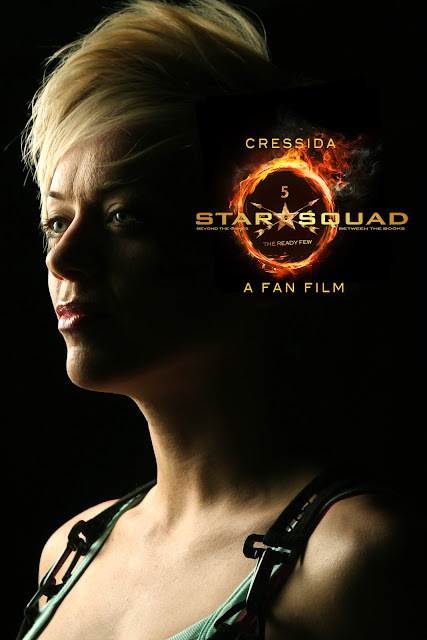 Star Squad is a Hunger Games fan series, made by fans, for fans, with fans. 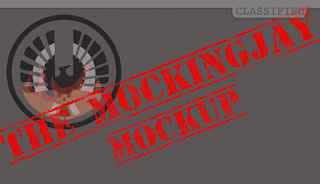 It is NOT a recreation of existing Hunger Games scenes, but an entirely original story about the trial of Katniss Everdeen and the rebirth of Panem after the rebellion. Along with the trial, the series will also follow the new Star Squad, consisting of characters you'll know and characters you won't, on a post-rebellion propo mission. Speaking of characters you know, check out their first character propo poster of Cressida! There's a cast and crew all ready to go, but those involved want this production to be as outstanding and professional-looking as possible so they will be raising funds to bring this series to you. And here's where you all come in! Please visit their IndieGoGo page, have a listen at what they have to say and if you decide to donate (a good decision, we say! ), make sure to donate in the name of Welcome to District 12! Whichever three fansites raise the most money will get to host a part of the fan film and we would LOVE to have it! 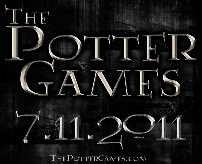 Be sure to Like their Facebook page and Follow them on Twitter since they will be releasing sneak peeks EVERY DAY! You'll get to see glimpses of the other characters, even and especially brand new ones. Courtney and I have been helping out with this project. Having been invited to the table read, we've read a draft of the script and some of the rewrite and were SO impressed with it all. Seriously, they went way beyond our expectations. We've met and talked with everyone involved, save for some of the actors, and there's no denying their passion for The Hunger Games and this project. We were also invited to their cast photo shoot, here have a BTS pic! Again, take a look at their IndieGoGo page and DONATE!